Our focus is on teaching the ‘need to know’ practical and management skills for the most commonly encountered conditions of pregnancy and childhood. Who can attend : Courses are designed for a range of manual practitioners including Osteopaths, Chiropractors,Physiotherapists & Craniosacral Therapists – qualified practitioners and final year students. The level is postgraduate intermediate. We have condensed the information so that the busy practitioner gets a value packed course at an affordable price. Our focus is on teaching the ‘need to know’ practical and management skills for the most commonly encountered conditions in pregnancy and childhood. Venue : Our courses are held at the London School of Osteopathy in central London, and, for 2019 we are taking a course to the Northallerton Osteopathic Clinic in Yorkshire. We are now offering an undergraduate student discount of £105 per course. Please email us directly if you would like to take advantage of this. Click on buttons below for detailed course information and bookings. By opting in you are agreeing to receive information by email on forthcoming courses and videos from Mum&BabyCPD to the email address you supplied. You may change your mind at any time by following the ‘unsubscribe’ link in our emails. 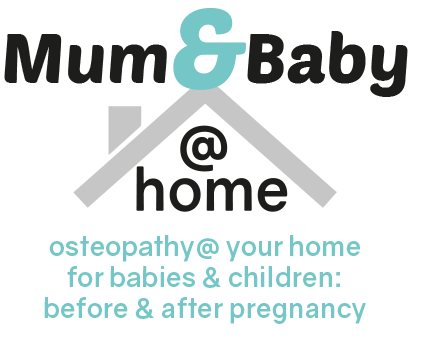 Here at Mum&BabyCPD we take your privacy seriously and will only use your personal information to provide the products and services you have requested from us.